The Lamina Lift™ Mask uses an organic blend of EcoCert Seaweeds, Orange Water, Aloe Vera and natural botanicals to de-stress, de-puff and refresh your skin for a more luminous complexion – fast. A beautiful accompaniment to more clinical services such as post-chemical peels, microdermabrasion, laser, waxing, etc. 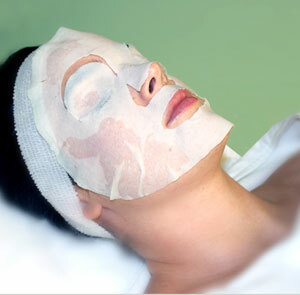 This mask provides instant soothing, cooling and moisturizing effects. Try it alone, while you wait, or with your favorite spa services – you are going to love the way your skin looks.